Dimensions: Interior Dimensions - Depth 9.1" x Width 18.1" x Height 2.4"
When shopping for your dorm supplies, it is always important to keep an eye out for college items that can come in handy. With so little space available to you in a dorm room, there are a few key factors in choosing your college supplies. Your dorm items should be made to help keep your dorm room organized and they should also serve a purpose. College decor enhances the look of your dorm room. 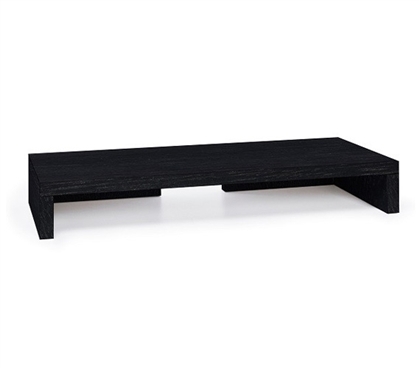 College inspired storage and shelving units help keep your dorm room free of clutter. Even your college comforter can help make you feel at home (besides the fact that it also gives you comfort to relax and sleep). But have you thought of what you can do with your dorm desk? Utilizing any space available to you is key to a clean and organized dorm room. 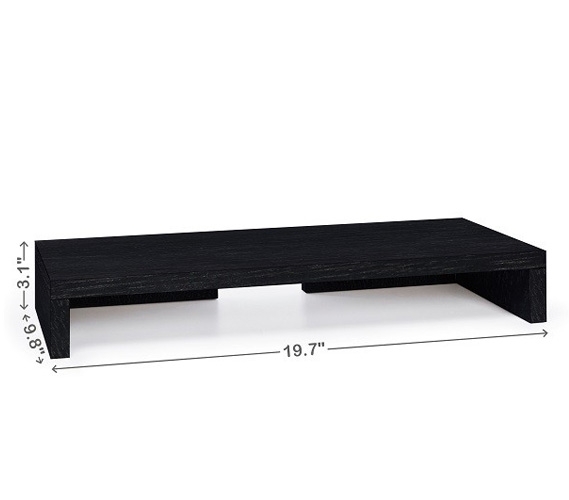 This Desktop Monitor Stand - Black can help you maximize the space on your dorm room desk. 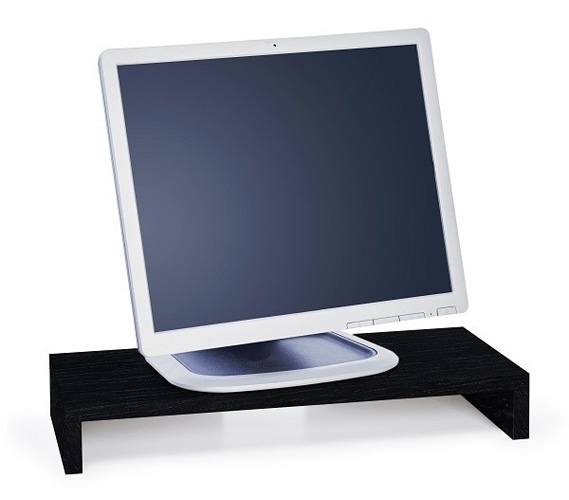 This black college monitor stand will elevate your laptop or desktop computer, and opens up the space underneath. 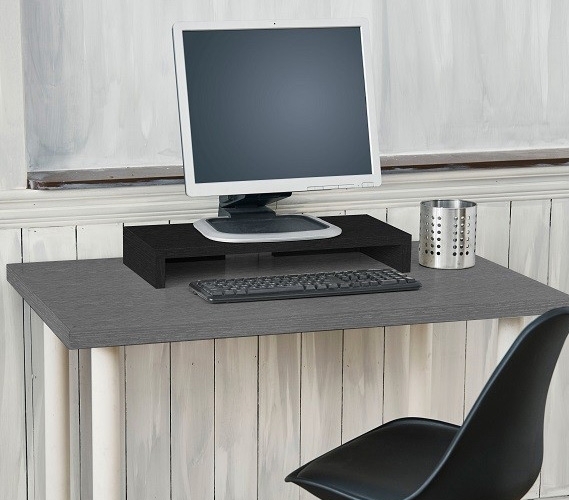 This dorm item gives you a space for college desk supplies or a place to store your keyboard when not in use, opening up the space on your college desk! If you're dorm room is especially small, any college item can and should turn into an essential space saver. Interior dimensions: 9.1" x 18.1" x 2.4"
Exterior Dimensions - 9.8" x 19.7" x 3.1"